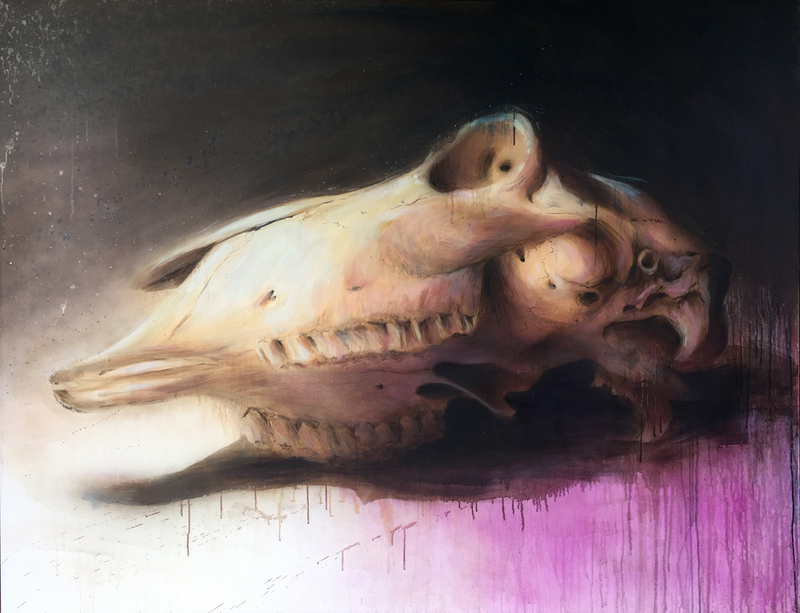 Skull of the Unknown Sheep utilises a sheep’s skull as means to examine art-making processes. 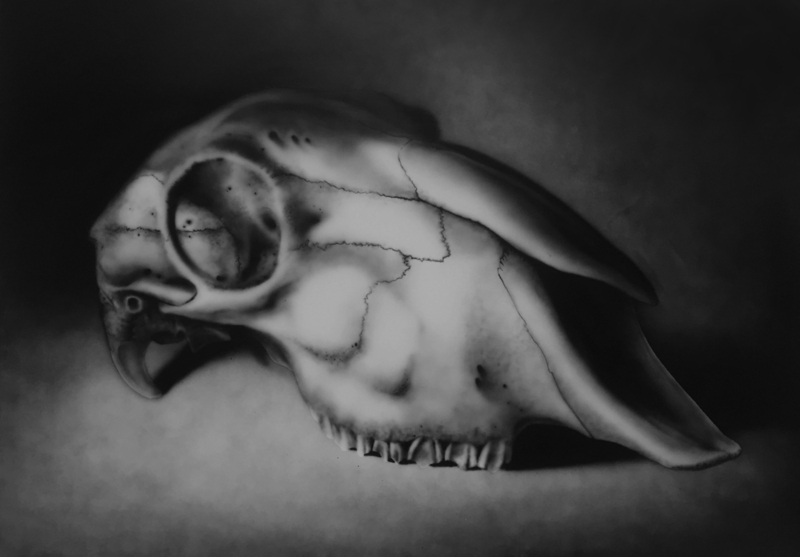 This in-depth series has been driven by a need to understand materials and techniques. 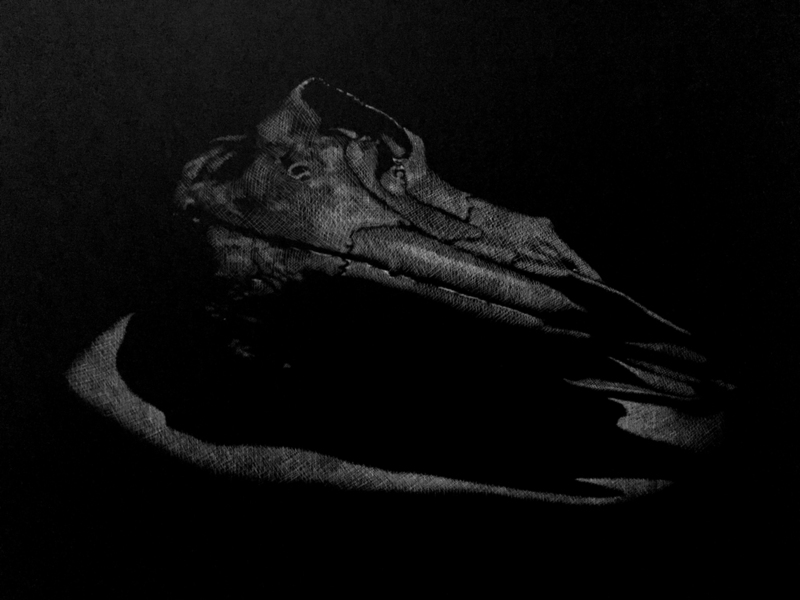 Through manipulation of the skull, we see the same form shift and change. 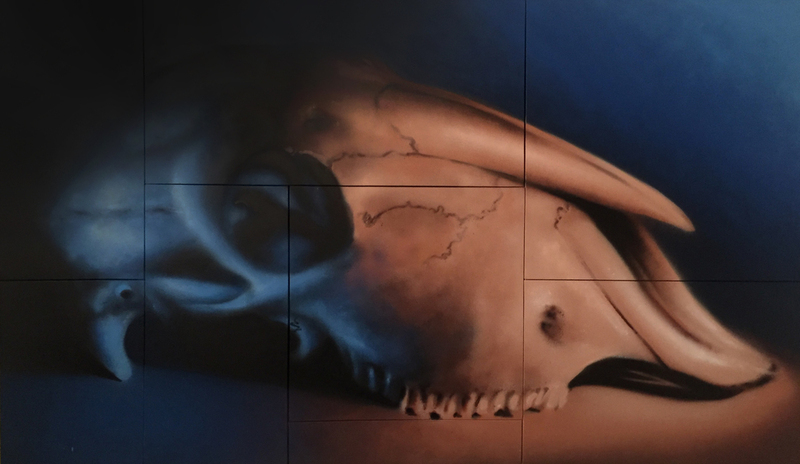 Works includes oil, acrylic, watercolour, airbrush and aerosol paintings; charcoal, pencil, fine liner and ink drawings; wood burning, etching, lino printing and sculptural works. 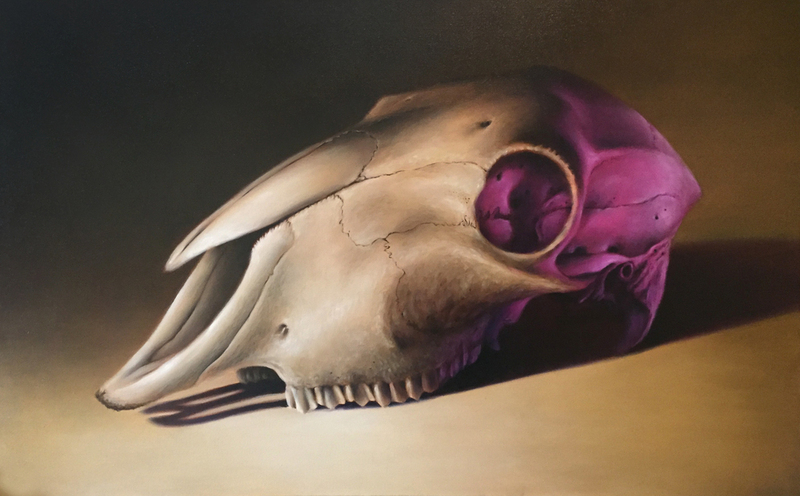 This series acknowledges the extensive use of the skull as subject matter throughout history and pays tribute to the legacy of the humble sheep. The perception of the sheep has shifted from its glorified position in mythology through to its place as a sacrificial offering in religion while today, the sheep’s status is as a mindless follower.